Social media has been a touchy subject for most regulated industries, especially for the financial services industry. Yet, as the digital transformation continues and social media has become a powerful place to build a brand, now is the time for the financial services industry to get on board with being social. 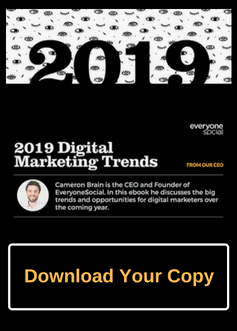 However, by not being social, financial service companies are falling behind and missing opportunities to not only connect with their customers but potential new customers, influencers, and even the ability to expand their digital brand. Below, we’ll cover how social media can benefit financial services and how an employee advocacy program can ensure employees are sharing the right stuff while still having some regulation to protect the brand. With automation, robo-advisors and artificial intelligence, the human-to-human interaction is typically missing from the financial service industry. People are turning to social media for financial information and to ask questions. This includes customers and potential customers searching for recommendations and content. 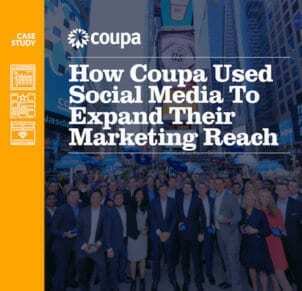 By only having corporate social accounts, customers can find it hard to engage with, often buried, and the content shared by corporate handles may not be trusted as much if it would come from a person. That’s why besides corporate social media handles, financial service companies should be allowing employees to be social on behalf of the company. Sound scary letting employees be social? An Edelman Trust Barometer research showed that financial services, for example, is the least trusted sector among the general population. Yikes! But there is a positive too, that same research showed that 80% of financial services employees trust their own company to do the right thing. This is encouraging because employees of financial service companies are already thinking positive about their employer and view them as trustworthy. These two things are key for the financial industry to be successful in an “employee-focused” social media strategy. So how can social media help financial services? Now that we have an understanding of how social media can benefit financial companies, what type of content should be available for social sharing? The goal of becoming a social company and getting employees involved is to never come off like an army of spammers. Being inauthentic is never a good look. Employees don’t want to share sales-sounding content, their networks certainly do not want to be spammed with the same type of content, and your company should not want to have a robotic workforce. Which is why having the right social content is so important. In order for financial services to be successful in a social media strategy, there needs to be a great mix of content. Company blog content: This could be best practices, tips, resources, industry insights, stock chart analysis, etc. All knowledge-levels, whether beginner level info or expert content. Regardless, the point is to provide value so social audiences will engage and see the brand as a leader in the space. Third-party industry content: Content outside of company content is also good. It lets employees share other interesting industry topics and shows their company is on top of the latest trends and news. Content that is not blog articles: Employees get excited to share what they are working on, what they are excited for, and the company culture. Pictures of events, the office, team building sessions, etc. Help encourage employees to be the face of the brand. A company that cares about employees and employees showcasing their work, adds credibility to the business. It is best for employees to avoid specific financial advice or sensitive info though. Instead, the focus should be to educate on the industry, company, and work culture. Related: Wondering how to get employees interested in social media? Here 6 Ways to Get All Employees Active in Social Media Marketing. Why Should Financial Service Employees Be Active on Social Media? When it comes to getting employees active on social media, there is certainly a lot to consider. I’ve talked a bit about how social media helps the financial industry, the type of social media content to post, but now it’s best to understand how to put it all in place. Besides some of the information from above, encouraging employees of financial institutions to be active in social media may seem like a giant headache or at the very least, a lot of work. But we’ll get into that a little bit later in the next section. So why should employees be sharing on social media (and not just the marketing folks)? When consumers need to understand something, they don’t turn to advertising for answers. They go to people they trust the most like their friends, colleagues, and family. So back to how to manage employees being social and keeping it all organized. This is where an employee advocacy can platform help. A big challenge and hurdle for most financial service companies is how to get started on social, yet still ensure no social media disasters occur. Tackling something like this without the right technology for support can lead to mistakes and many organizational challenges. But, this is how employee advocacy can help social media for financial services. 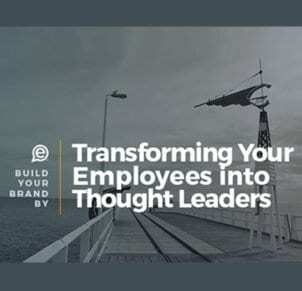 The goal of employee advocacy is to encourage employees to become a social media powerhouse to help boost marketing, sales, HR, and communications. And a big problem a program can solve is the declining organic social media reach brands have on platforms. Facebook has especially put the power back to the users and away from brands and publishers. If you want your brand to be seen, you’ll have to pay for ads. And guess what? Those ad prices continue to increase every year. Employees are already seen has more trusted resources by peers, plus their social organic reach is much stronger than corporate accounts. Enabling employees to post on social media is a simple way to fight off social algorithm changes while growing brand visibility in an organic way. It’s pretty tough to monitor all employees at a financial institution, especially if there are thousands of employees. Making sure the right message and content is shared would be a daunting task and a pain to organize. Nor should it even be expected for every employee to know all the specific rules in a regulated industry like financial services. Ever read some of that stuff? But an employee advocacy program can ensure some regulation and monitoring is accessible in one central location. Can store resources like a social media policy for employees to have direct access and be aware of the guidelines for sharing. Related: Looking for the best social media policy examples for employees? Here are seven standouts and a template to polish yours. Content, resources, social listening, and just organization, in general, is easier with an employee advocacy platform. Specific content can be organized into groups, articles can be made “read-only”, employees can leave feedback and comments, emails to users can be sent, etc. All done from one platform. 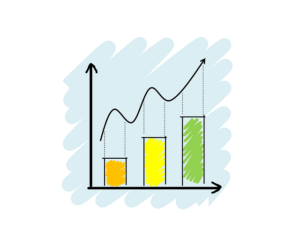 But just as important is the ability to measure engagement and see detailed reporting of results from the social shares. Of course, this is only scratching the surface and is why companies in regulated industries are starting to implement this technology. Engagement is a big deal and if employees only have company content that is regulated, the social strategy could get stale. Even if that content is providing value to employees’ audiences, they still need to look human. 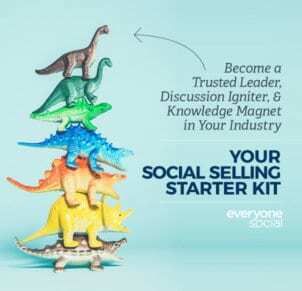 By utilizing an employee advocacy platform like EveryoneSocial, it provides employees with ways to add personal interests of content they like too. Interested in marketing, robotics, or science? No problem, employees can have a personal stream of content topics that interest them. This is always encouraged by our team because it allows employees to showcase their personality. It gives them a personable feel and people like seeing employees being able to showcase their interests outside of work. Employee advocacy is the best way to show the company is filled with real people and not mindless robots. Social media is dominating the world and even more so for businesses. It’s where customers, employees, and potential customers research, connect and hang out. 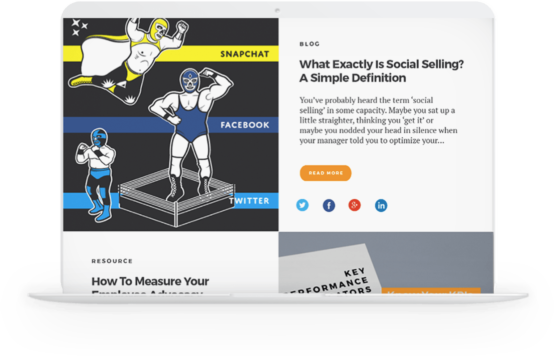 It’s also no longer just a tool for marketers and growing a social media audience is no longer the only main goal. While financial services is in a regulated industry, avoiding social media or blocking it all together is a huge mistake in the digital age. Now is the time for financial companies to get involved in social and allow employees to be their brand advocates and face of the organization. 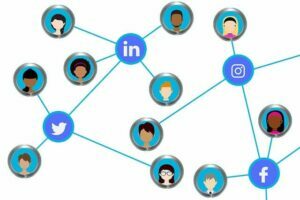 When there are clear guidelines that eliminate confusion as to what an employee can or cannot do on social, they will feel freer to participate in social media marketing. Here are the best social media policy examples. Other well-known brands in all industries are adding employee advocacy to their social media and brand strategies. Here are 10 employee advocacy examples. 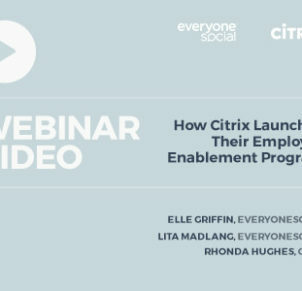 Interested in launching an employee advocacy program? Get all the information and details with our complete program guide. Want to learn more about building a successful employee advocacy program and turning your workforce into a social media powerhouse? Schedule your personalized demo of EveryoneSocial.